Alexandria City, Virginia, known for its “Old Town”, is nestled along the Potomac River just south of Washington, DC. It has a population of about 151,000 spread over 15 square miles, with 10 fire stations and 6 medic units on the street daily.1 Alexandria Fire Department’s ALS providers treat a wide variety of conditions, but septic shock is one of the scariest. According to Paramedic Barbara Tharpe, NREMT-P, the Alexandria Fire Department cares for as many as five suspected sepsis cases per week. 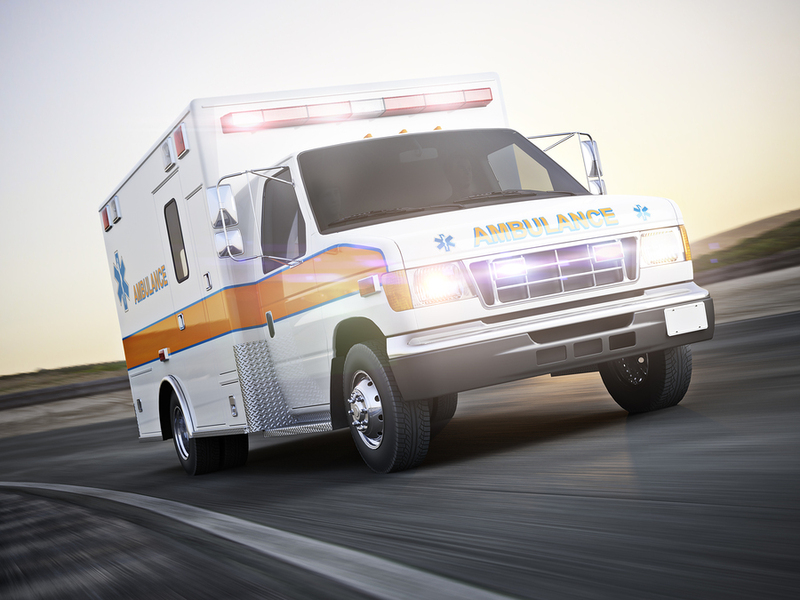 A patient with severe sepsis and hypotension can crash quickly, even during a short ride from the scene to the local emergency room. Rapid identification and treatment of sepsis are critical, and IV fluids can play an important role. A recent study of 1,871 sepsis diagnosed patients published in JAMA found that early, prehospital administration of intravenous fluids to patients who were initially hypotensive (defined by this study as systolic BP < 100) was associated with reduced hospital mortality.2 A similar study regarding the significance of pre-hospital IV fluid administration by Seymour et al. 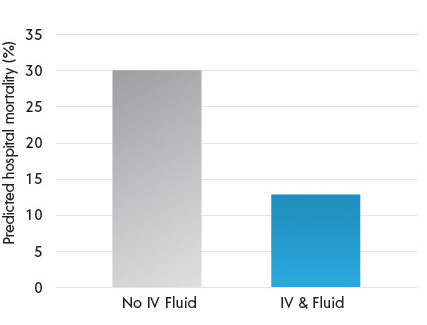 found that patients diagnosed with severe sepsis who received prehospital fluids had lower rates of hospital mortality (Figure 1).3 The greatest reduction in mortality was seen in patients who received fluid for pre-hospital hypotension (defined as systolic BP < 110). The authors pointed out that early administration of IV fluids in the prehospital setting could improve sepsis outcomes by improving organ perfusion, and that even the successful placement of a pre-hospital IV catheter could help reduce delays in sepsis care upon arrival to the ED. The authors concluded that the prehospital setting might represent an important opportunity for early resuscitation that could ultimately improve patient outcomes. Alexandria Fire Department’s ALS providers are well trained on recognizing shock and hypotension. By assessing the patient’s vital signs in conjunction with other factors such as their perfusion and mental status, they can ascertain whether a patient needs IV fluids. Until recently, gravity or pressure bags have been the primary methods for delivering IV fluids. In 2019, Alexandria Fire Department began to implement LifeFlow for use in critically ill patients. “We know that in a hypotensive patient we need to get a bolus or two in ASAP,” said Tim Jaffry, NREMT-P, Alexandria Paramedic , “In the past, using gravity or even a pressure bag, we would be lucky to get 500 mls in the patient before the hospital; now, with LifeFlow, we have the ability to infuse much more than that during the short drive to the hospital.” Although Alexandria Fire Department has only been using LifeFlow since January, the early experience has been very positive. Tim has used LifeFlow with his patients several times; each time he’s been able to get multiple liters in the patient and complete the initial fluid resuscitation prior to arriving at the hospital. The initial experience with LifeFlow was when Tim and his partner were dispatched to a nursing home to pick up a man in his 60’s who, he explains, was pretty ill and had an acute change from his baseline altered mental status. When he arrived Tim suspected sepsis immediately. That guy was super septic…he had a fever, was diaphoretic, completely out of it… was borderline hypotensive, systolic blood pressure was about 100 and heart rate was in the 150’s. In adult patients who meet our sepsis criteria, our protocol includes administering a 30 ml/kg bolus via a rapid infuser device before we get the patient to the hospital, so we started rapidly infusing fluids by LifeFlow. Thanks to LifeFlow, we had a full 2 Liter bolus in this guy before we arrived at the emergency department. We literally gave him two liters in two miles. His pulse went down to the 90’s and his blood pressure came up into the 130’s! He was no longer diaphoretic, and he was no longer febrile. His improvement was significant, and the ED doctor was amazed. That is when I was convinced about LifeFlow…I was hooked. This patient was well resuscitated by the time he arrived at the ED. In part 2 we review the case of a patient with uncertain diagnosis, but who loses consciousness and becomes hypotensive….